Between 2007 and the Fall of 2013 when the new high school is opened, Longmeadow will have spent over $2 million on Information Technology (IT) related infrastructure. This spending is not in the planning stages... This money has already been approved by taxpayers and/or Select Board/ School Committee and does not count any new IT program spending that will be developed. Late last year, the IT dept for the town was consolidated under the School Department with a single operating budget for FY12 and a proposal for its own capital budget separate from town government. During the past 9+ months, approximately $368K of IT related expenditures were either appropriated by individual warrant articles at the Annual Town Meeting or individual line item transfers by the School Committee and Select Board. For details of this IT spending read the Longmeadow Buzz article- Future IT Spending- Can we afford it? The upcoming Fall Special Town Meeting on November 8 includes two new IT related warrant spending requests- $50K for "computer replacements" and $15K for "building wireless". My concern is that this IT spending has not been prioritized (or vetted) by the Capital Planning Committee and is being spent without regard to its affordability or urgency relative to the other capital needs of our town. Contrary to what some elected officials and town residents believe, we are not a community of unlimited resources. 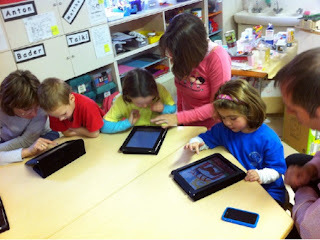 Given the technology vision of our school superintendent for IPads and eventual 1:1 student/ computer learning, our IT spending will likely grow significantly over the next 3-5 years and we will need a means to "ration" our finite resources. I took the opportunity last night at the Select Board's first "Open Forum" to express my concerns and to hear feedback from the Select Board. 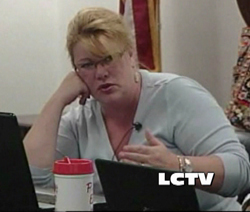 Below is a video clip of this discussion courtesy of LCTV. This is an important issue and all town residents should be concerned and ask our elected Select Board members to have all IT and other town related capital spending "prioritized and vetted together" by our established Capital Planning Committee. Christine Swanson, Select Board Vice-Chair announced at tonight's meeting her family's decision to leave Longmeadow and move to Savannah, GA. for business and personal reasons. She will continue to be a Select Board member until plans finalize but expected to leave Longmeadow by the end of the year. Ms. Swanson resigned her position as Vice-Chair at tonight's meeting and Paul Santaniello was elected as the new SB vice-chair.